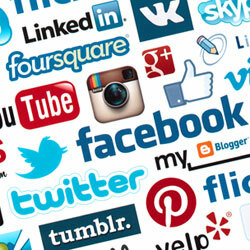 Implementing a social media policy - what if staff don't sign up? « Can we discipline an employee if they are on sick leave? We are introducing an new social media policy what happens if staff refuse to sign it? On this basis it is perfectly legitimate for you to change / implement policies and procedures. Even if you don’t have such a statement it is still reasonable to implement a new policy as long as it does not conflict with any currently agreed contractual terms and conditions (if it does then you need to agree the change with staff, or utilise a procedure to unilaterally impose this). You should ensure that when you propose the new policy that you consult with your staff / trade unions about the policy contents and explain why you wish to implement such a policy. Once finalised, you should communicate the policy throughout your organisation using all your main communication channels such as: email, intranet, memo etc. You should also remember to amend your staff handbook if applicable. It is also advisable to let staff know how the policy will be monitored. Ideally you would want every member of staff to demonstrate that they have read and understood the policy by signing this off (either on paper or electronically) however if they won’t, should it ever be necessary to defend any actions taken under this policy at an Employment Tribunal it should be enough to demonstrate that you have properly and effectively communicated it. It may also advisable if you think this policy is likely to be contentious, to actually arrange face-to-face familiarisation sessions for all staff so you can be sure they understand the new policy and where you can issue them with a copy. You can also take a register at these sessions and in that way demonstrate that all staff were made fully aware of the policy.